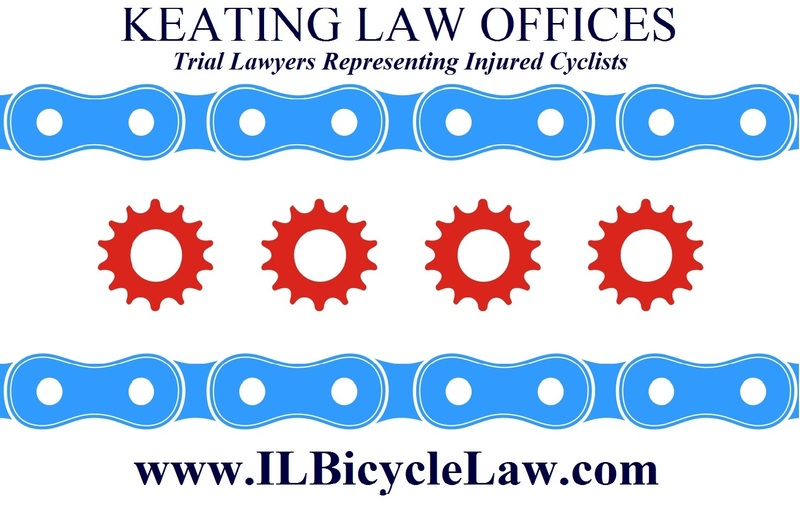 The Illinois Bicycle Lawyers at Keating Law Offices were recently retained to represent an Evanston bicyclist injured when a motorist cut in front of him as the motorist attempted to enter a driveway. On September 24, 2013, our client was riding his bicycle northwest bound near the edge of the curb on North Clybourn Avenue in Chicago. At the same time, the motorist was driving his vehicle in the same northwest bound lane of traffic on Clybourn. This put the car directly to the left of the bicyclist as they traveled along Clybourn. The motorist suddenly and unexpectedly decided to turn right off of Clybourn into a private driveway, directly in front of the bicyclist. This is an example of a "right hook" motor vehicle vs. bicycle collision where the motorist turning the vehicle right either into or in front of the bicyclist is the cause of the collision. Due to the sudden action of the motorist, our client had no reason to anticipate the motorist's sudden turn, nor time to react, and the bicyclist collided into the front passenger side of the motorist's vehicle. Upon impact, the bicyclist fell from his bicycle and sustained significant injuries. The Chicago Police Department responded to the scene. Following an investigation, the responding officer determined that the motorist's failure to yield to our client's right-of-way was the primary cause of the collision. Our client was taken by ambulance to the emergency department at Advocate Illinois Masonic Hospital where he was treated for the injuries he sustained in the collision. 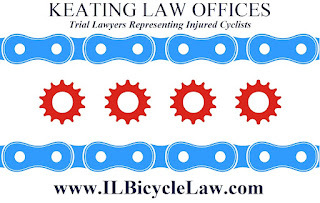 According to the results of the Chicago Department of Transportation's Bicycle Crash Analysis, our new client's recent collision is among the most common type of Chicago bicycle crash. In specific, the CDOT found that 40% of all Chicago bicycle crashes result from motorists' failure to yield to bicyclists. 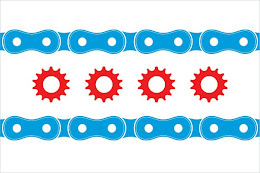 In addition, approximately 37% of all injury-causing bicycle crashes in Chicago occur in the neighborhoods extending north from the Loop through Lincoln Park to Lakeview and extending West from the Loop through Wicker Park, Bucktown, and Logan Square. Accordingly, motorists in these neighborhoods need to be hyper-aware of the presence of bicyclists and need to yield to both other motorists AND bicyclists when navigating turns.